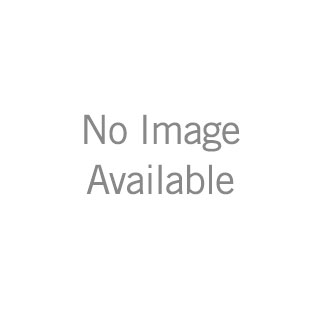 25996LF-OB-ECO is rated 4.4 out of 5 by 49. Rated 1 out of 5 by Keith from Very low flow Takes over 5 seconds to fill you hands due to flow restriction for EPA WATER SENSE standard. I have 60 psig on my system. Do not buy this product! Rated 5 out of 5 by Richard from Great product Bought a week ago and installed in 10 min. Rated 4 out of 5 by Rosie from Easy installation This is a replacement faucet for our powder room. Looks good and was easy to install. Material composite isn't top quality ,but ok. Rated 5 out of 5 by Sasharose from Great looking faucet, spruced up my bathrooms Love the look of these faucets! What a difference they made to my bathrooms. Hope for many years of no trouble service. My plumber recommended Delta and I am glad that he did! 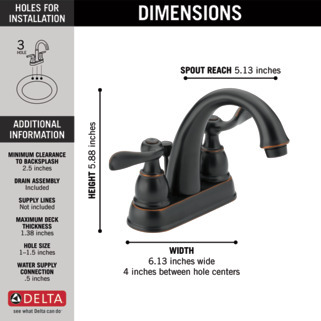 Rated 1 out of 5 by Annoyed from Wrong sized stoppers in 2 different boxes We bought a pair of these faucets at Lowes. Opened up the first box and installed the faucet, everything was great except the stopper was leaking. Opened up the second box and all of the parts under the sink were different (drain pipe, stopper lever, nuts, etc.) Proceeded with installation and the second faucet's stopper also leaks and is not the same size as the first. Not sure which parts are correct. Lowes wasn't much help. Trying to reach Delta but they are offline until Tuesday. Never experienced this with Delta before. Rated 5 out of 5 by beej from Looks terrific!!! 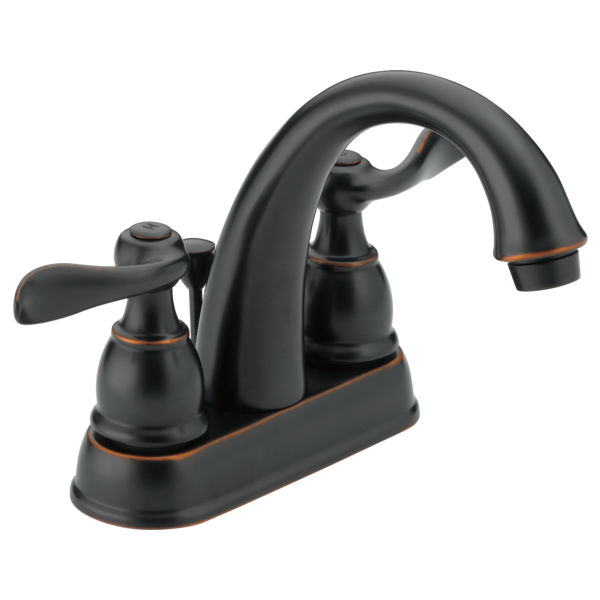 Was a little hesitant at first when buying because I didn't know if I really wanted to go back to a handled faucet. I am so happy with this purchase as I needed 2 of them because I have a double sink. They are elegant looking and when they are wiped down....they shine!!!! 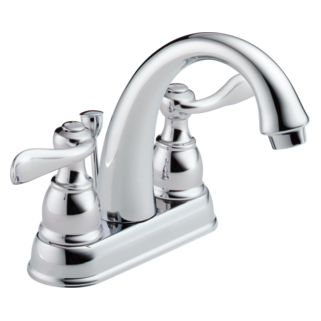 Rated 5 out of 5 by Eponce from Awesome bathroom faucet I bought two bathroom faucets because it looks great and you can’t beat the price, makes my updated bathroom look great. Rated 4 out of 5 by DCfarms from Like the look. Redoing our bathroom and I'm very pleased of how it all looks. Discarding the flange: On another Delta single set I purchased, from the Botanical series, I was able to install into three close set holes. &nbsp;I discarded the flange and then had three separate pieces. &nbsp; Can I do this with the&nbsp;Delta Windermere? Can't get pop up stem to work because of angle has to go in. Do you have to bend stem? 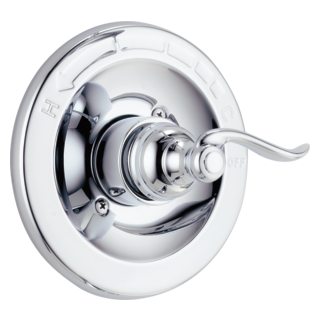 i am looking for a brushed nickel pop up drain assembly for a lav sink with no overflow. please advise. The pull-up assembly isn't a straight rod. Why does it have curves? How is it to fit down a narrow hole? 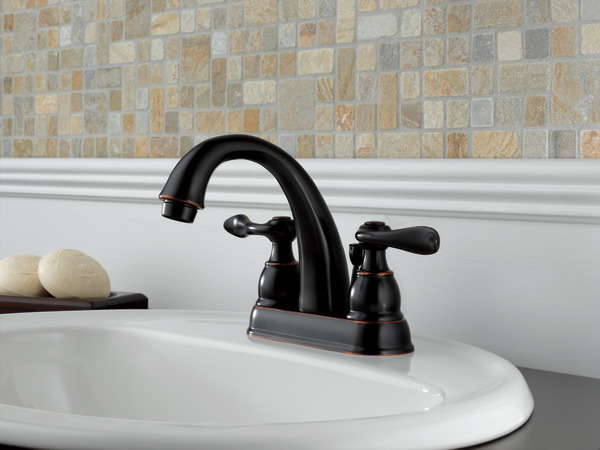 Delta Windermere centerset bathroom faucet. The nut that needs to be removed before the cartridge is removed is stuck! Please confirm which way to unscrew that part...and what do you recommend to free it up so we can remove it? Is this available in bright brass? the inside plastic coating on the water inlet lines have to be removed before installing?